Mercia 8 x 7 Traditional Shiplap Summerhouse: The 8 x 7 traditional summerhouse with veranda comes in an attractive and high quality design, a perfect outdoor building for relaxing. The classic summerhouse is built using 12mm tongue and groove cladding and solid sheets for the floor and roof for a durable finish. 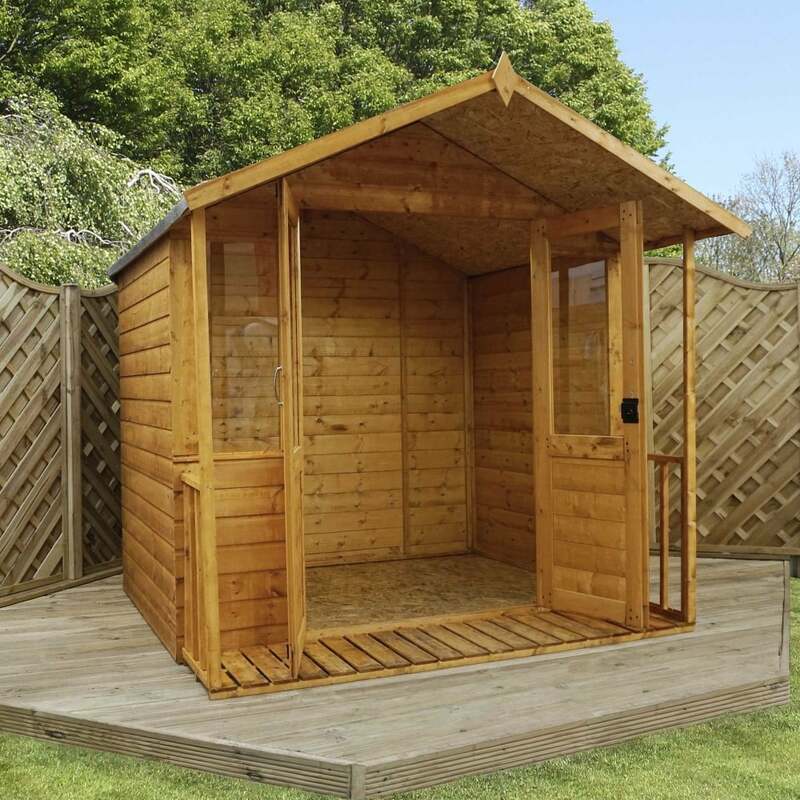 The Mercia summerhouse floor also comes with high quality floor joists giving the garden building a sturdy feel and allowing a greater load capacity. The 8 x 7 shiplap summerhouse features a veranda to provide extra outdoor area to enjoy and also fixed styrene glazed windows to enable plenty of natural light to flood inside.